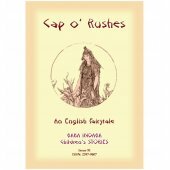 Baba Indaba Children's Stories - Issue 001. 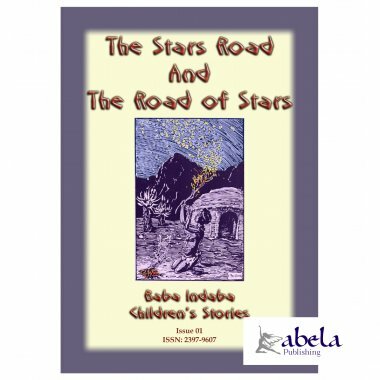 In book 1 of this series, Baba Indaba, the Ancient Zulu storyteller, tells the ancient African story of how the stars and the "Road of Stars" (the Milky Way) were formed by a maiden from the race of the "old people." Long, long ago, when the African night sky was dark, the Old Man with the bright armpits lay down to sleep. The arc of the sky hung over the KwaZulu (the home of the Zulu) like a canopy of softest velvet, making a deep, mysterious background. But the night sky was devoid of any other life. In time people learned in time to make fires to light up the darkness. One night a girl of the ancient race sat warming herself by a wood fire. She played with the ashes and took them in her hands and threw them up to see how pretty they were when they floated in the air..
You are invited to download the read the whole story of just how the maiden put the stars into the night sky and how she created a road across the heavens. It is believed that folklore and tales are believed to have originated in India and made their way overland along the Silk and Spice routes and through the Middle East and Central Asia before arriving in Europe. Even so, this does not cover all folklore from all four corners of the world. 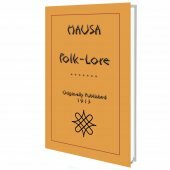 Indeed folklore, legends and myths from Africa, Australia, Polynesia, and some from Asia too, can be altogether quite different and seem to have originated, on the whole, from separate reservoirs of lore, legend and culture.